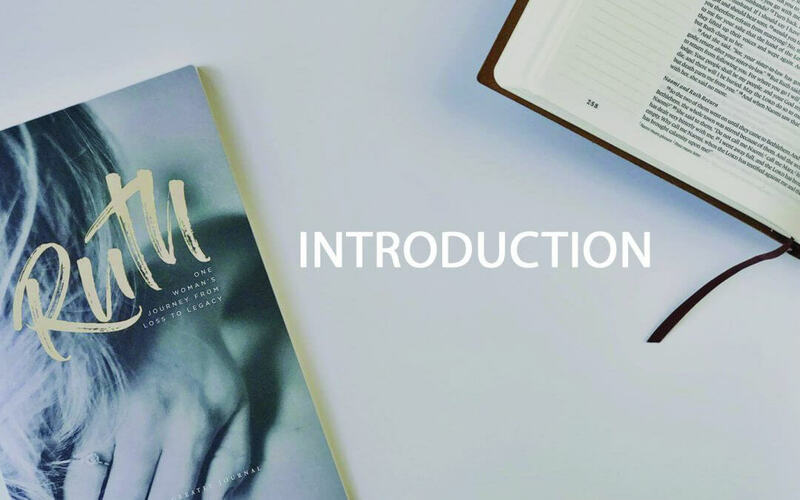 We’re excited to release our six-week Ruth Journal! You’ll receive our easy to follow reading plan, weekly reflection questions, prayer & praise section, as well as plenty of room to journal your daily, personal SOAP reflections as you dive deeper into God’s Word! These beautiful, journals even include a recipe for you to try with your friends from one of the many countries Love God Greatly serves! Our Ruth Bible Study Journals are Now on Amazon!!! We’re excited to release our four-week Love God Greatly Ruth Bible Study! For less than $12, you’ll receive our easy to follow reading plan, weekly reflection questions, prayer & praise section, as well as plenty of room to journal your daily, personal SOAP reflections as you dive deeper into God’s Word! Best of all — EVERY journal sold supports the ministry efforts of Love God Greatly and helping us get God’s Word into as many languages and women’s hands as possible. Thank you for helping us get more and more women around the world in God’s Word! 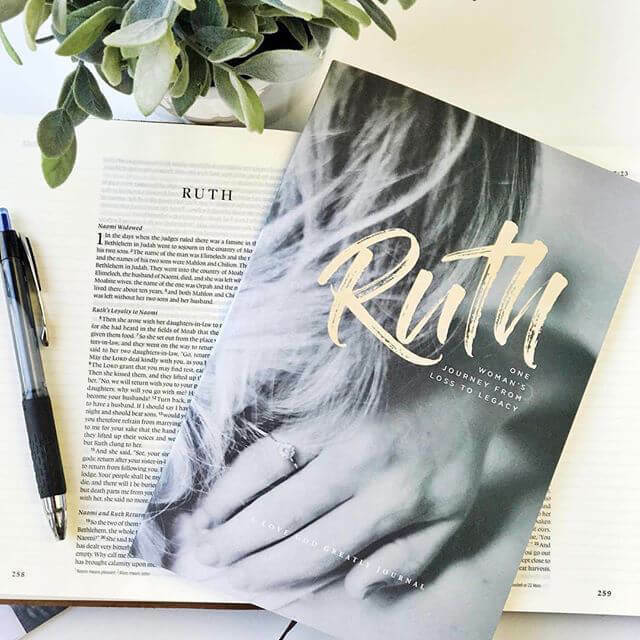 Click here to purchase Ruth bible study journal on Amazon! If you’ve ever experienced loss, loneliness, or seasons of great change or difficulty, then you can immediately identify with the events and people in the book of Ruth. While Ruth begins as a story of heartache, it doesn’t stop there. Mourning turns to dancing as themes of loyalty, kindness, boldness, acceptance, love, and redemption are uncovered. But ultimately, Ruth is a book about the providence of God. We should never underestimate the seemingly small events in our lives. Whether it is caring for family, getting married, working, showing kindness to our neighbors, or raising children… all of it is being used by God for the good of those who love Him, for His glory, and for the salvation of others. The book of Ruth reminds us that no event or person is insignificant in the plan of God. Ruth Bible Study Journal for KIDS!! Ruth for Kids offers God’s Word to the next generation of believers in practical and interactive ways that are sure to engage children in a deeper understanding of who God is and His story for their lives. Following a simple 4-week Bible reading plan, Scripture will come alive to your child with the help of spacious journaling pages, fun memory verse coloring pages, and an area to draw and record personal items of prayer and praise. 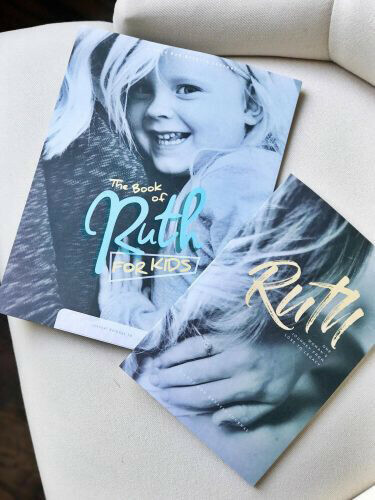 Ruth for Kids is the perfect companion for children to use alongside the Love God Greatly Ruth women’s study journal. Click here to purchase the Ruth Kid’s Journal on Amazon! 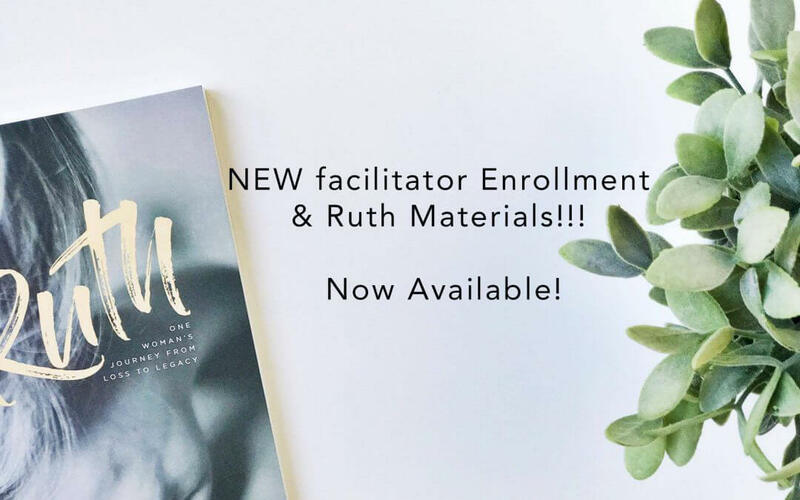 *NEW* Facilitator Enrollment & Ruth Materials Now Available!